Buried treasure in Oklahoma consist of old lost mines, outlaw treasure, and private caches. Anyone with the proper knowledge and equipment can locate these treasures. That means having done the proper research, and having a metal detector. To locate treasures you need to have more information than what I have provided you with in this article. This information is just the starting point. You should research these treasure stories further by using the Internet, and visiting the local historical societies in the areas you want to search. Knowledge is power, and that is no more true than when searching for buried treasure. You need to follow all leads regarding the buried treasure you are searching for. Ask questions, read old history books, and newspaper articles that may give you more information. Be like a detective on a case to solve a crime. The hard work is in researching the treasure. By doing that correctly, then the actual searching for your treasure becomes easier. Next, if you do not own a detector, it’s a good idea to purchase one. There is no need to spend thousands of dollars for a high end detector. The more expensive models with all of the bells and whistles are most often very complicated for the new user. 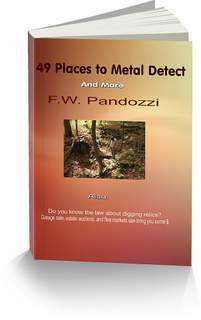 Spend between $325 and $450 for a new detector, read and study the owners manual, and learn how to use it properly. If you do, you will find as many items as the person using a more expensive model. Lost treasures are out there, just waiting to be found. With the right tools you can locate one as well. Here are six places to begin your search for buried treasure in Oklahoma. Somewhere near Wilburton, an Indian outlaw called Black Face, cached three treasures of stolen loot on a dry creek bed in the hills north of this town. At old, Fort Sill trading post, an outlaw tossed four bags of gold and silver coins into a well, that is now covered. The approximate worth at that time in 1892, was $100,000. 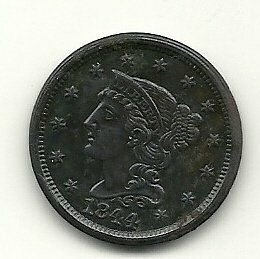 The coins were stolen from a stagecoach. In a cave near Mill Creek, in the Arbuckle Mountains is a treasure of Army, stolen payroll, in gold and silver coins. Outlaws attacked an army supply train and hid the coins in the cave. The Cache River, may still hold a treasure of gold bullion. Mexican’s fleeing a band of Indians buried the treasure somewhere near the ruins of the old Pecan School, approximately fifteen miles south of Lawton on the Cache River. Near the town of Geronimo, and the Cache River, in the Wichita Mountains, is a treasure of gold bullion worth approximately 1 million dollars. The hoard was buried by the famous outlaw Jesse James. In 1872, Jessie and his gang raided a Mexican caravan of gold bullion that belonged to a Mexican general. While the posse was hot on his trail, Jesse buried the treasure. For more information on how to research buried treasure, visit my research page. Good luck! And have fun in your search for buried treasure in Oklahoma. Anytime you are going on to private property be sure to ask for permission. If you are going on to State or Federal lands to search for buried treasure in Oklahoma, you should know the laws of that State. Know the law about digging on State and Federal Lands. Buried treasure in Oklahoma may be located in ghost towns.